Product #3376 | SKU BO968 | 0.0 (no ratings yet) Thanks for your rating! The BO968 from RME is an optional professional digital breakout cable for the HDSP 9632, DIGI96/8 PRO and PAD. 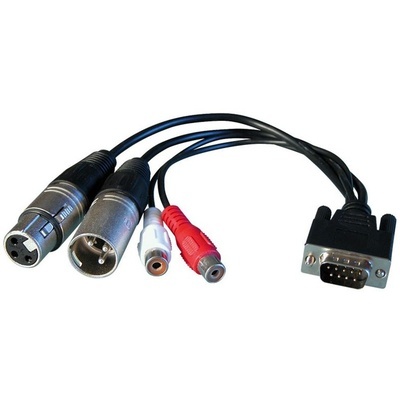 The cable originates with a 9-pin D-sub connector and terminates in two XLR AES/EBU connectors and two RCA coaxial S/PDIF connectors.